A big part of my lived experience has been as a mental health carer. It is the hardest thing I have ever done – but it also helped me find a strength I never expected. One of the things about being a carer is the way it makes you feel so alone and unable to communicate or understand what is happening. It is easy to become overwhelmed and forget that you need to look after yourselves as well as others. I wanted to do something about that. I wanted to create the website that I wish had been there for me at the time. So I did. 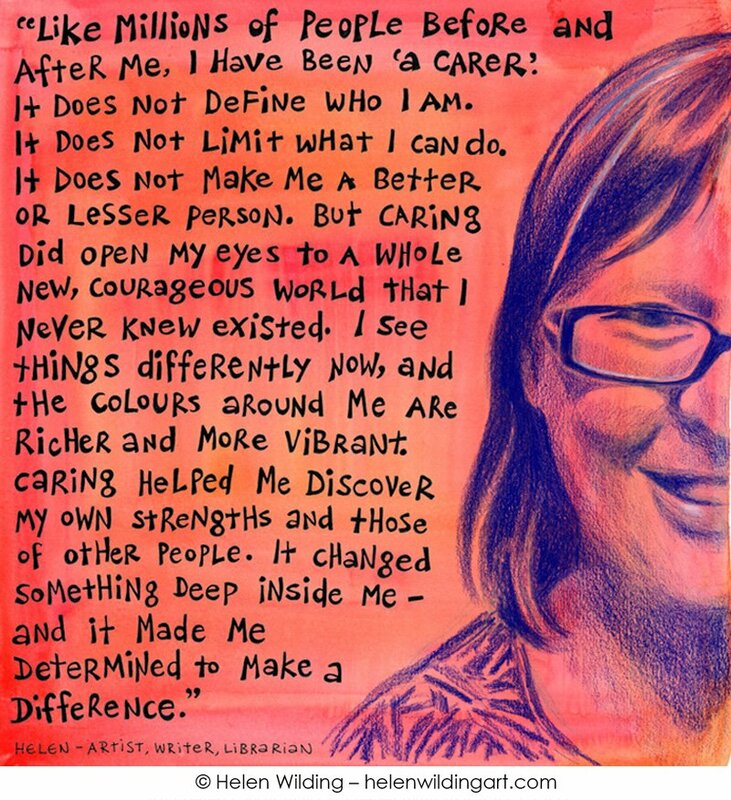 The Caring Together Art Journal Project aims to support mental health carers and start a three way conversation between carers, consumers and practitioners. It is full of stories, art, information and opportunities for collaboration.